Dark purple amethyst stones are teardrop shape and linked to a round cabochon of Angel Peak turquoise. The amethyst is translucent and the turquoise is medium blue-green, without matrix. The cab is bezel set in sterling silver. 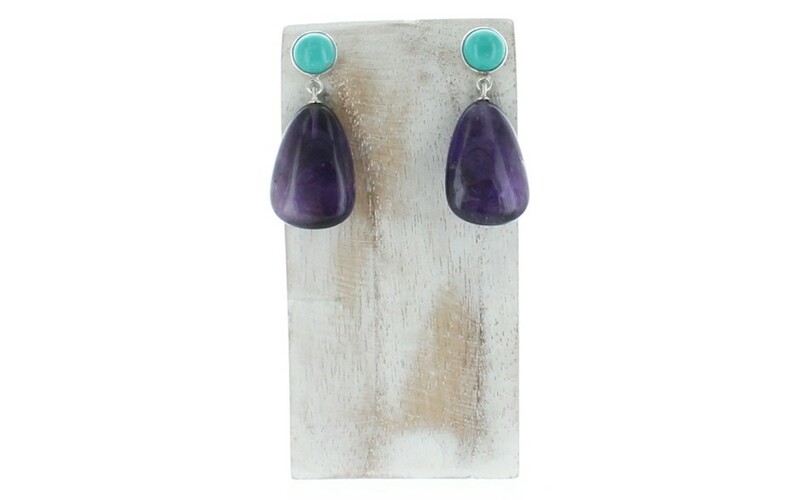 The earrings offer versatility whether your pairing them with a turquoise or an amethyst necklace. 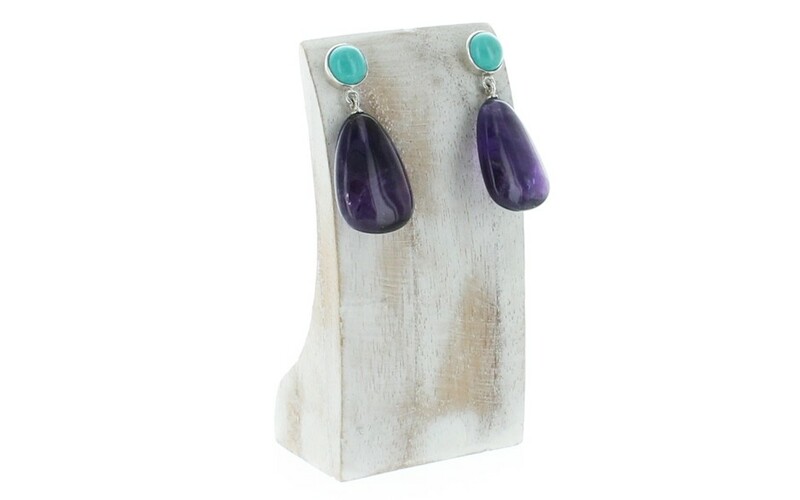 The stabilized turquoise was mined in Chile and the natural, untreated amethyst was mined in South Africa. Each earring measures 1 1/16" long by 5/8" wide.